MY fellow Nigerians, 2015 is not only ringing a bell in the nation’s polity because of the general elections associated with it, but it would also present a golden opportunity to redefine and reshape the destiny of this great nation of Africa. The emergence of two major candidates: Goodluck Jonathan of the PDP and General Buhari of the APC has made it a hard decision for Nigerians to make, putting a lot of facts into consideration. I am very conscious of the fact that Nigerians are yearning for improved standard of living, effective security of life and property, infrastructural facilities, etc. As a patriotic Nigerian with conscience, I cannot fall into the gripping hands of political entrepreneurs, whose spirit of opportunism and self-centeredness are the propelling forces behind their quest for power. As 2015 presidential election approaches, the voyage of the Nigerian state has run into a crossroads. On the left side of the road is the short-long way and on the right side of it lays the long-short way. The two candidates of the leading political parties represent these two ways. While President Jonathan represents the long-short way, General Buhari represents the short-long way. Before I proceed, I would crave your indulgence to define the two proverbial ways in order to awaken the consciousness of Nigerian voters. The short-long way would appear shortest and easiest at the outset to an adventurer, but it would later prove to be the longest and rocky road to take. While the long-short way may appear long and discouraging to a shortsighted explorer, it will at the end be the shortest and hitch-free route to ply to arrive at the desired destination. The million-dollar question here is: Why did I describe Gen. Buhari as the short-long way? 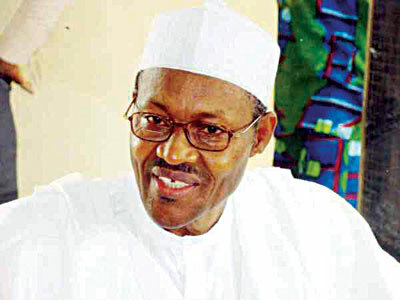 Gen. Buhari may represent the change some sections of Nigeria are yearning for in the short term, but not in the long term because of his leadership weakness, which made him a remote in the hand of the Emperor of the APC Empire, which unjustifiably manifested in his inability to pick his preferred running mate. It is no longer news that the people’s General has been surrounded by hawks and caged into dungeon that nothing good would come out of this man if elected president, apart from serving the interest of his Emperor owing to recent activities in the APC. The same Lord of Lagos, who has dictated the tune of the state for 16 years running, single-handedly rammed John Odigie-Oyegun down the throat of the APC stalwarts as its National Chairman. 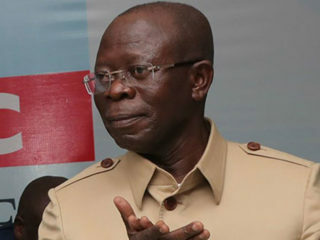 He influenced the APC governors, which made them to throw their weight behind Gen. Buhari’s emergence as the APC presidential candidate in return for the position of the vice presidential candidate, which the King of Bourdillon, later ceded to one of his cronies — Prof. Yemi Osinbajo, after his earlier ambition to clinch the vice presidential ticket of the APC was crushed by the antagonists of a Muslim-Muslim ticket. The choice of Gen. Buhari may be popular amongst his Northern followers and power-starved politicians, who see the aging General’s ambition as an opportunity to grab power, but the selection of Osinbajo as Gen. Buhari’s running mate confirmed the fears of many Nigerians that we are in for another “Cabalnocracy”, which implies government of the cabal by the cabal and for the cabal. The overbearing influence of one person in the so-called progressive party has made it crystal clear to lovers of this country that the newest cabal in town is working assiduously to mask its motive with Gen. Buhari’s face to get to power. 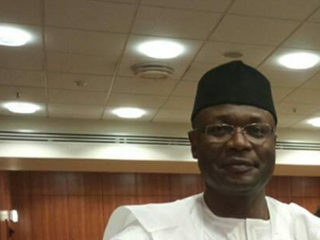 Nigerians should be aware of those who have exploited the people of Lagos for years via godfatherism and heavy burden of taxes, while preaching the gospel of freedom in Abuja; those who installed their wives, children, in-laws, concubines, and cronies as governors, senators, House of Reps members, State Assembly members, etc., while they keep parading themselves as progressives. As if that was not enough, the same hypocritical elements, that have been busy singing the song of change, connived with some PDP governors to truncate Local Government autonomy, while they advocate true federalism! Nigerians have become politically conscious enough not to allow retrogressive fundamentalists to reverse this country to the same centralists who resisted the devolution of power at the National Conference, by insisting on the current “feeding bottle federalism,” which made them parasites of Nigerian state. Let’s come to think of it, what informed the decision of the APC National Leader to insist on Prof. Osinbajo as Gen. Buhari’s running mate knowing his political naivety? Is Osinbajo more experienced and qualified than the likes of Governors Fashola and Oshiomhole or former Governor Fayemi? Why did Tinubu block the emergence of Governor Amaechi as the APC vice presidential candidate? Is Tinubu the de facto presidential candidate of the APC, who is scheming to leverage on Gen. Buhari’s popularity in the North to acquire power via Prof. Osinbajo? In the first instance, the Emperor of the APC Empire went for a candidate who claimed that he borrowed money for his nomination form from a bank, without telling Nigerians the collateral he used to secure the loan. The burning questions agitating the minds of Nigerians are: Are we ready to be enslaved by this desperate cabal? Is the APC clamouring for change just for the sake of it? Gen. Buhari, who truncated our nascent democracy in 1984, is aspiring to come back and benefit from the same democracy he rejected 30 years after. Does he represent the change we need at this defining moment? Is this not a grand conspiracy of power mongers with born-to-rule mentality riding on the gullibility of Nigerians to get power at all cost? 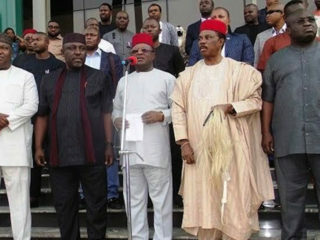 What does the APC stand for, if not a party of disgruntled elements and power-starved individuals? Objectively, I am not blinded to the fact that President Jonathan may not have performed optimally to the expectation of some Nigerians, but can we just for the sake of change replace a young woman, who has given birth to two children, with an old woman who has reached menopause because the impatient husband is angling for more children? Is the aspiration of 72-year-old General not insulting the sensibilities of Nigerian youths? Your guess is as good as mine. • Chidiebere can be reached via chidieberenwobodo@yahoo.com.